Antisocial behavior is a construct in clinical psychological science that encompasses many different behaviors and diagnoses. Behaviors as common as cheating, lying, and use of illicit substances are considered antisocial, as are aggression, theft, and violence. When such behaviors become chronic, they are viewed as pathological and can lead to a clinical diagnosis, ranging from conduct disorder in children to psychopathy and antisocial personality disorder in adults. Such chronic antisocial behaviors result in considerable physical, emotional, and economic pain and suffering, not just for those who engage in the behaviors but also for the people around them, including family members and society at large. Identifying the factors that contribute to the onset and maintenance of antisocial behaviors, therefore, could have incalculable benefits. 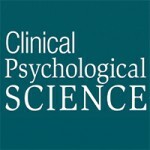 A special series of articles published in the May issue of Clinical Psychological Science, edited by psychology researcher Arielle Baskin-Sommers (Yale University), brings together cutting-edge research investigating factors associated with antisocial behavior. Findings from a range of scientific disciplines — including the natural, social, and behavioral sciences — have led to considerable advances in our understanding of antisocial behavior and its causes. Research has shown that various neural, genetic, and environmental factors likely play a role in contributing to antisocial behavior. For example, dysfunction in the anterior cingulate cortex, exposure to violence, and living in disadvantaged communities all are broadly associated with antisocial behavior. 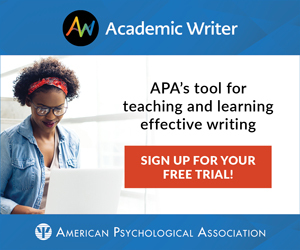 And research indicates that some factors — such as amygdala activation, certain genotypes, and family interactions — may be distinctly correlated with certain subtypes of antisocial behaviors and disorders. But a lack of integrative research that spans different factors, levels of analysis, and methodological approaches means that most studies lack the specificity required to draw more direct links between contributors and specific antisocial behaviors and/or behavioral subtypes. “By moving toward more specific assessment, diverse samples, and multiple measures of factors at various levels, we can uncover the independent and unique factors that predict and shape multiple pathways toward antisocial behavior,” Baskin-Sommers writes in her introduction to the special series. methodological framework, using validated assessments of antisocial behavior in representative samples. “Together, these studies demonstrate how identifying specific factors at multiple levels of analysis facilitates the identification of variables that need to be controlled for or addressed in experimental design, for developing integrative theory that addresses issues of convergence and divergence, and for designing interventions that are increasingly more efficacious,” Baskin-Sommers writes. Ultimately, while antisocial behavior may seem destructive or irrational to an outside observer, it actually may be a byproduct of adaptive adjustments in these behavioral, genetic, and neural processes that aid coping and survival. Over time, though, these adaptive adjustments result in chronic antisocial behavior, which can ultimately produce an ongoing feedback loop. “This reciprocal influence whereby the brain, genes, environment, and behavior synergistically promote the maintenance of antisocial behavior ultimately produces stable traits and chronic forms of psychopathology,” Baskin-Sommers explains. By examining the factors that contribute to antisocial behaviors and related disorders, researchers can better understand why individuals engage in antisocial behaviors despite the harm those behaviors cause and discover strategies or mechanisms that may reduce this harm and suffering.